I have a formal education in Advertising & Design, though I will be quite blunt and say my $30k piece of paper did not teach me nearly as much as what I have learned in the Internet Network Marketing industry with way less of a price tag too! So do not let not having a formal education stop you from learning and being a success, you can learn more in this industry than any college or school could ever teach you. I wish I got started in this industry way sooner than I did. Even though I was well versed in marketing and design and have been around computers for many years (my dad use to build and repair computers while I was in middle school & high school), for some reason I did not think I could use my skills online… I was stuck of thinking in a corperate mindset. This might have to do with what I was taught in college, but since I tend to think outside the box, I am totally blaming myself for being so ignorant! So when/how did I get started exactly? It was around August of 2005, when I was pregnant with my son Ayden. I really wanted to stay at home and raise him and could not fathom paying someone else to take care of him. I was already working from home in the advertising industry but not in an area that payed much or really utilized my skills. I had a set limit at what I could make and it payed the bills, but I wanted to do more than that. I wanted a savings account, to one day own a home, to pay off my student loans, to give to charity and so on. Unfortunately the Research Queen (a title I have been given by many offline and online friends & family) did not research enough (yeah I am human and so not perfect) and joined what I now deem one of the worst Network Marketing companies for someone who wants to run their business completely from home. Why??? Because though I asked my potential sponsor if I could run my business 100% online from home, they lied. Maybe they were clueless, maybe they were just trying to make a buck, who knows… All I know is once I joined and read the policies and procedures I found out I could not advertise online, period! WHAT?!?! Yeah that was my response too!Â That was a hard lesson learned and a tad expensive one as well. Always, always read the P&P before joining any company or affiliate program. I know many companies have some seriously long P&P’s, but rest assured the longer it is the more you really need to read it because you can almost guarantee there will be some insane policies and procedures that will decrease your bottom line & restrict your dreams. One common example of this is when companies will not let you have multiple streams of income and many times they specify not only another Network Marketing Company but also any Affiliate program that you profit from in any way. So, if you are not already in the practice of reading policies & procedures, please for your own sake start now! So after that experience I stopped looking for a home business. I was starting to wonder if maybe this online work from home stuff was a scam. About two months later I lost my son due to him being fullterm stillborn. My thoughts of having my own business went on the back burner. It was hard enough to work my regular at home job and keep it, let alone attempting to learn a new business. Battling depression and grieving was what occupied my brain power and it was a tough fight and is a challenge that I am still learning & growing from. It wasn’t until September of 2007 when our daughter Jaya was nearing the age of 1 that I felt I was strong enough mentally to attempt having my own home business. I also started dabbling back in graphic design by doing some freebie work for friends & family. But it wasn’t until 2008 when I started really using my graphic design capabilities as a freelance graphic designer. This is also about the time I realized that the offline marketing skills I learned from school could apply to online marketing too despite what some people where saying back then. Once the light bulb went off, I wondered why I had not done so years ago. It was one of those duh moments. Always look at what your current skills and passions are and utilize them to create a business or find a business that you can use those skills & passions in. Many times the knowledge/skills you already have can be worth something to others. This approach can help you not only be happy with your chosen path, but also have a head start in being an entrepreneur. As the years passed I was juggling raising my daughter, network marketing, my at home job and clients for my freelance graphic design business. In April of 2010, I finally said goodbye to my job. I was working way more days and hours than any one should and often got 4-5 hours of sleep. I felt I had to, my husband was not working and not helping much around the house either and the bills had to get paid, etc. It was very stressful and I felt myself starting to break and knew I had to choose between my freedom as an entrepreneur & truly living vs. my somewhat stable income from my work at home job & not living. As you guessed I went with my passion of being an entrepreneur and not only started working less, having more time for my spiritual life & family… I also started making more money working in way less hours! Your spiritual life has to be first. Then comes taking care of your family. Your job/career/business comes in after that. Then whatever time is left is for you. In this world, usually this list is the opposite way, self first, career, family and then maybe spirituality, if there is any time left. No wonder most of the world is turned upside down and in shambles. Because so many are living their lives upside down selfishly. For those that will sacrifice the “me” and do this simple practice they will realize not only is their life better than they could ever imagine, it is also way more fulfilling than serving yourself. Do not buy into the lie that you have to work insane hours to make ends meet, there is a much better way. If you are not already making your priority list like the above, I pray you will change your ways and really start living! So that now brings us to the present tense. I am now living passionately, spiritually and have more time with my family and while I am not 100% debt free (yet)… I never worry anymore about how my bills are going to get paid or how my family is going to eat. That my friends is priceless. What do I like best about being a profit on knowledge style entrepreneur? 1. Getting to serve others and see them succeed in their passion. 2. Â Having the freedom to do what I have been called to do. Now you know a little bit about my journey and I would love to know about yours! If you are not already living your life in the proper order (spiritual life; family, career, then you), commit to doing so for the next 90 days. Create a schedule to set your priorities straight. 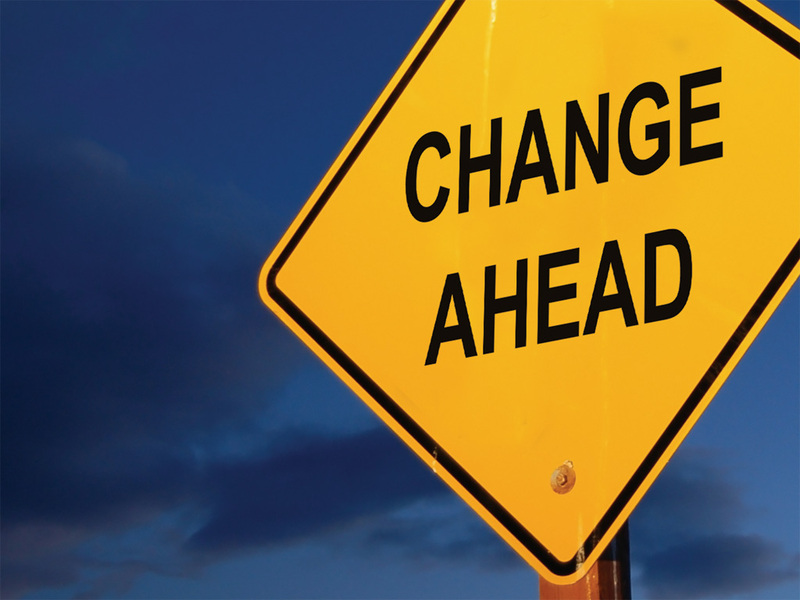 Write in your blog weekly about the changes you are experiencing. Come back here and post a comment with a link back to your blog post letting us know about your journeyÂ & don’t forget to track back to this blog post. If you are already living this way (the only way to REALLY live, btw ), then write a blog post about how you Â started living like this and what it has done for your life. Come back, post here & track back. Write a blog post about your journey to becoming an entrepreneur and track back to this article. so we can get to know you more! I know you are still wondering what this whole Watercooler Wednesday thing is all about… So I won’t keep you in suspense any longer . What is Watercooler Wednesday all about? If you have ever been in Corporate America, you will know that the watercooler or break room is where the majority of social interactions happen. When it is productive talk then relationships are built, ideas are shared and much more. Social Networking has moved the watercooler online. The watercooler has expanded in a big way and has increased social proof and opportunities for Corporate America, Small Business Owners and other Entrepreneurs alike. How to become social proof. How to manage your social reputation. How to be the most productive in social networking. What the best social media tools to save you time are. How to integrate social networking into your blog. How to build relationships and clients that last. How knowing your target market will get you social proof. I look forward to serving you every Wednesday via video, blog posts & more. Help me, help you! Comment below and let me know if any of the above was of value to you (your opinion matters here) and what you would like to learn how to do in the realm of becoming social proof through social media. 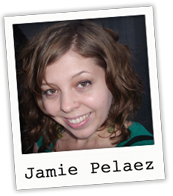 Jamie Pelaez is a WAHM mom with a zeal for helping others to live an inspired life. She specializes in OnlineÂ Marketing, Social Media, Graphic Design, Copywriting, Business Consulting & Â Motivation. She is skilled atÂ serving & helping online entrepreneurs & small business owners to succeed in their marketplace. P.S. Remember Â to never stop learning & growing! And know you can always profit on knowledge that you have already obtained. And I completely agree with how you prioritize yours. Spirituality, family, business and THEN self. Tony Robbins gave a speech on giving thanks once that really touched my heart. From that moment on I made giving thanks a huge priority in my life and, quite honestly, it has changed not only me, but the quality of my life in tremendous ways. I think many people can understand your journey into the internet network marketing world. It’s an ongoing journey, and we do learn each and every day. That’s what makes it so great though, isn’t it? Vince, thank you so much for commenting an in depth comment. It makes me so happy when I see people REALLY commenting by adding their opinion and value! I am grateful for you doing so and it is nice to meet you too. Thank you for the compliment on the blog redesign thus far 🙂 It now has a clear purpose and identity and I pray it will serve those that write here and read here well! Still a bit of tidying up to do (the optin boxes primarily) and will be working on that and a new twitter and youtube custom background here today. I am glad that you have your priorities straight, we sure are not perfect, so I certainly understand that sometimes we have to slap ourselves back into place. I have found the longer I do these things not only the greater life gets, but also the quicker I get at self correcting the situation when I have gone astray! Do you have a schedule yet? I know most people cringe when they hear that word (I was that way). I am learning to love them though as it has helped me prioritize what is most important & get more done (have more time). I am glad you brought up giving thanks. The practice of gratitude is so rewarding. So many people concentrate on the lack in their life and what they don’t like. When we are appreciative of what we do have that is good, it really does change our lives for the better! I was the type of person that always found good even in the darkest of situations. The ultimate challenge for me was when my son died before he got to take his firth breath out of the womb. I still cry, my arms & heart still ache, but I also can see the good that has come from it though it was not easy to see & still at times is not easy to admit. It is also is an experience 5 years later I am still learning & growing from. We can choose to concentrate on the negative things or choose to find the positives even if we have to hunt for them. The later brings more misery and pain while the other helps us heal, grow & help others. The same thing about what you said that makes Internet Marketing great is the same thing that makes life great & worth living! Thank you for the warm welcome and compliments Vince, I look forwarding to seeing you next week! One common example of this is when companies will not let you have multiple streams of income and many times they specify not only another Network Marketing Company but also any Affiliate program that you profit from in any way. So, if you are not already in the practice of reading policies & procedures, please for your own sake start now!